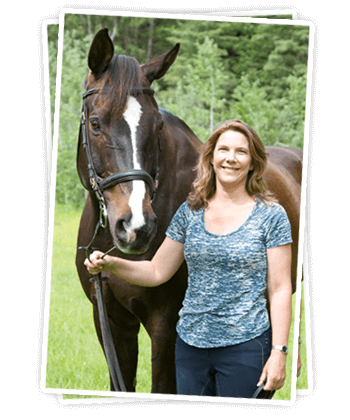 Rebecca Clyburn is a certified Competition Coach with Equine Canada, an Equine Professional with the Coaching Association of Canada, and is a General Performance Official for the Province of British Columbia. Rebecca has also completed an apprenticeship with the British Horse Society in England. She has competed her own horses as well as horses belonging to others in: Dressage (to Fourth Level), Hunter (1.1 m), Jumper (1.2 m), Three Day Eventing (to Training Level), as well as various Hack Competitions (to Championship Level). A Pony Club Instructor for over 15 years, Rebecca has successfully coached and examined students through Pony Club as well as the Equine Canada Rider Certification Program. Rebecca loves horses and thoroughly enjoys working with riders of all ages and abilities. Her clientele includes adult and junior riders at a variety of levels and in a variety of disciplines including: Dressage, Equitation, Pony Club, Hunter, and Eventing. Owner and operator of Topline Stables and Show Park, Sonya is currently focused on training and competing at the advanced FEI levels of Dressage. 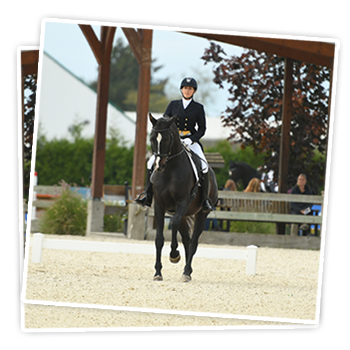 Sonya has successfully competed in the disciplines of Dressage (Intermediare 1), Show Jumping (1.2 m), and Eventing (T). Sonya enjoys working with horses and riders to find harmony and to develop a strong, enjoyable, equine partnership. Sonya's passion for horses comes through in her instruction where she is dedicated to teaching the importance of rider position and the use of light aids for the welfare of the horses and the satisfaction and enjoyment of the rider. Sonya's coaching incorporates the principles of Equitation Science as taught by Dr. Andrew McLean and her students will be introduced to "learning theory" to better understand horse behavior and how they learn. Sonya continues to upgrade her equine education by riding and learning from some of the best international coaches that are available.